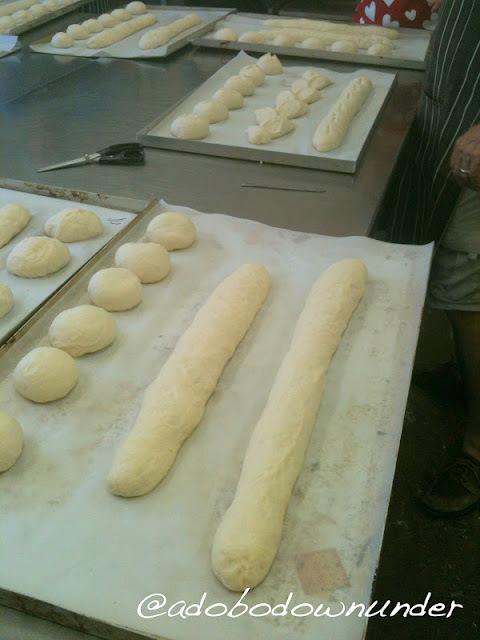 10 trays of freshly breads made on the day! Can you smell them? 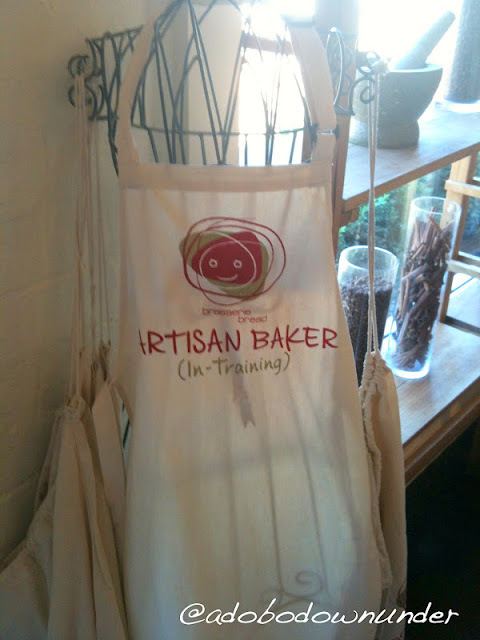 It was by stroke of luck when a voucher for an Artisan Bread Making Workshop at Brasserie Bread Sydney landed on my lap as part of the raffle draw at the Eat Drink Blog conference. This was November 2011. Quietly listening to the guest speakers and the pocket workshops during the conference, this gal was just happy to be there amongst people who had the same interest – food, writing, eating, drinking, blogging. So being there, and winning something was just magic. Well hello there baby! Rise, rise, rise! Fast forward to a weekend in March. 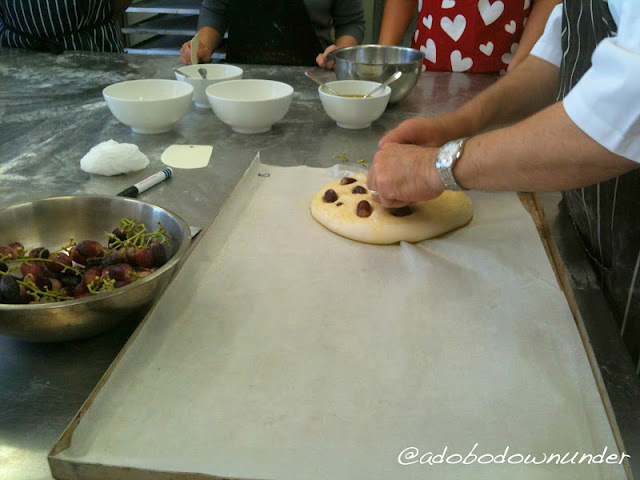 The artisan bread making workshop was just as fabulous. Amazing people behind the brand = amazing products. Here are just some of the photos of the day. Our trainer for the day - Boris. 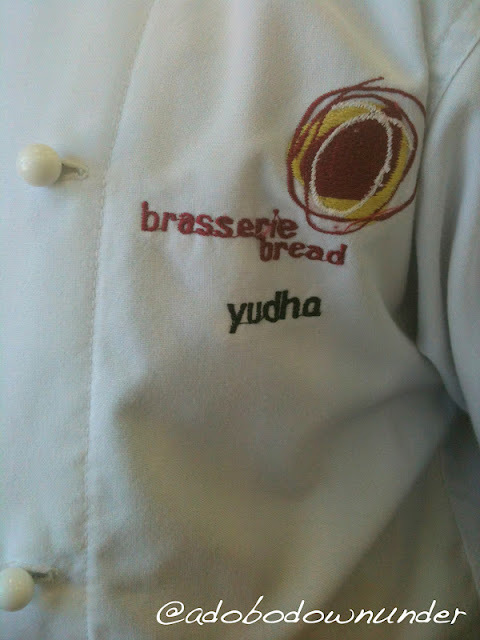 Did a wonderful job at teaching us with tips and tricks on bread making. 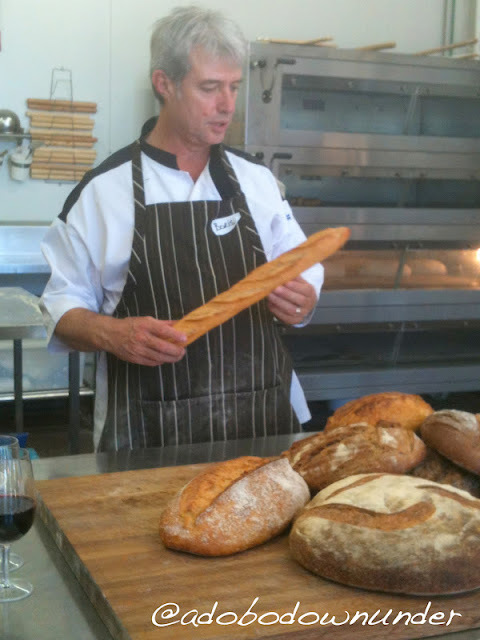 So if you’re in Oz, get onto your local Brasserie Bread and learn a thing or two about artisan baking. It’s a worthwhile experience. And while you’re there, grab some of their amazing pastries! The garlic bread is to die for! Seriously! 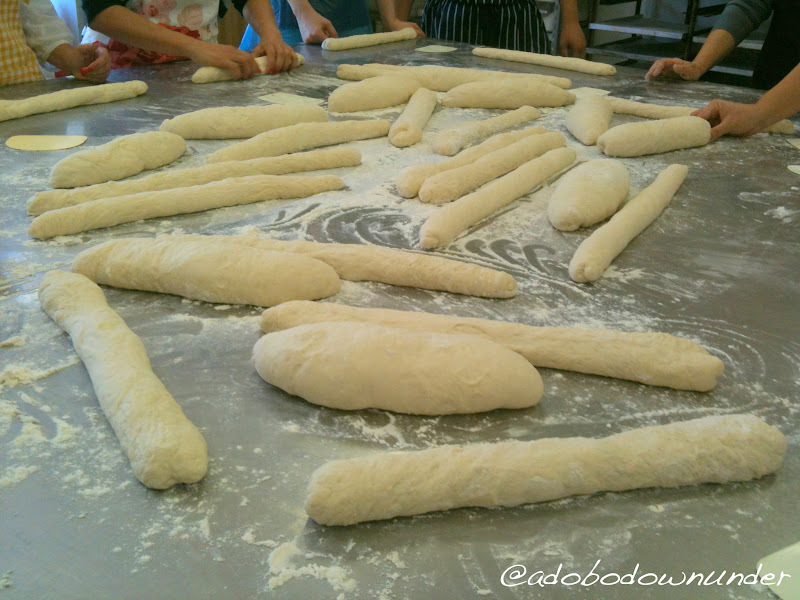 Voila - our loaves are getting some lovin'! And here's what everyone took home! Plus a whole lot more! PS – Btw, hip hip hooray for adodo down under. Celebrating 4 years in the blogsphere. More nom noms to come! Awesome! how lucky to win it, i've been wanting to do a class for ages, one of these day the 'stars will align' and i will get to go! 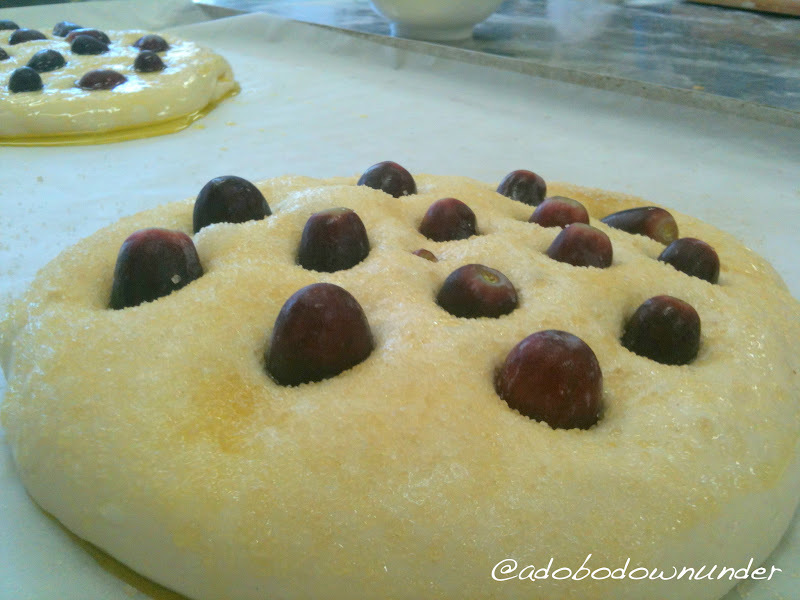 i made the grape bread after seeing it on crunchy tiger, was sensational.